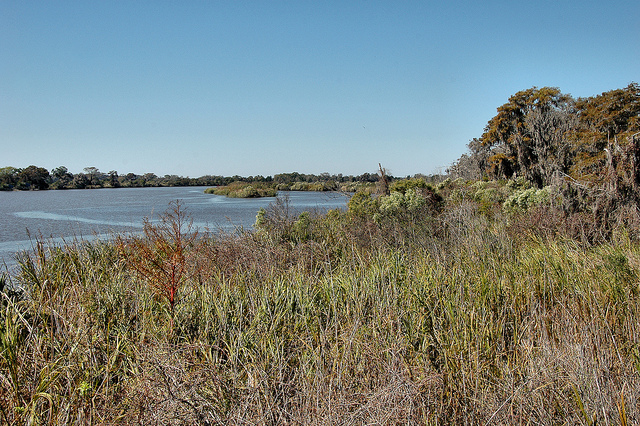 In 1926, the languishing lands of the Butler Plantation were purchased by Colonel Tillinghast L’Hommedieu (T. L.) Huston. Colonel Huston, a veteran of the Spanish-American War and World War I, had previously been a part owner of the New York Yankees baseball team. 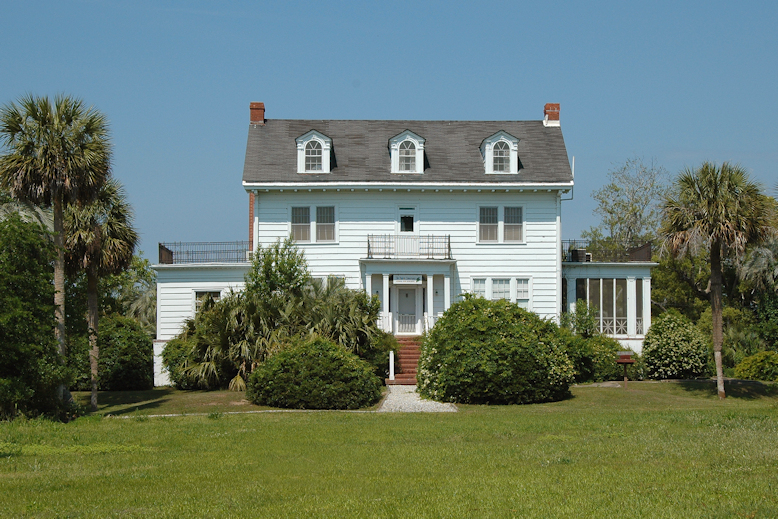 He built this house in 1927 and numerous baseball players were among his many guests here, including Babe Ruth. 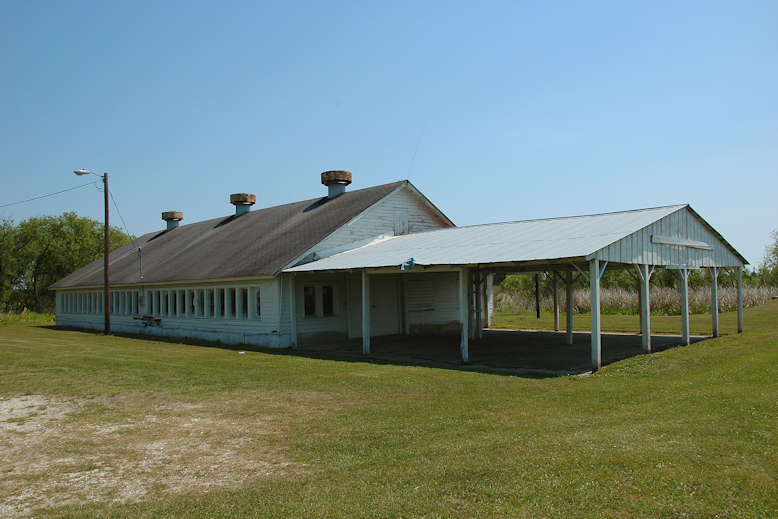 The Huston dairy barn can be seen on the east side of US 17. The dairy, anchored by a herd of Friesians, proved a difficult enterprise and Huston transformed the property into one of the largest iceberg lettuce farms on the east coast within a decade. 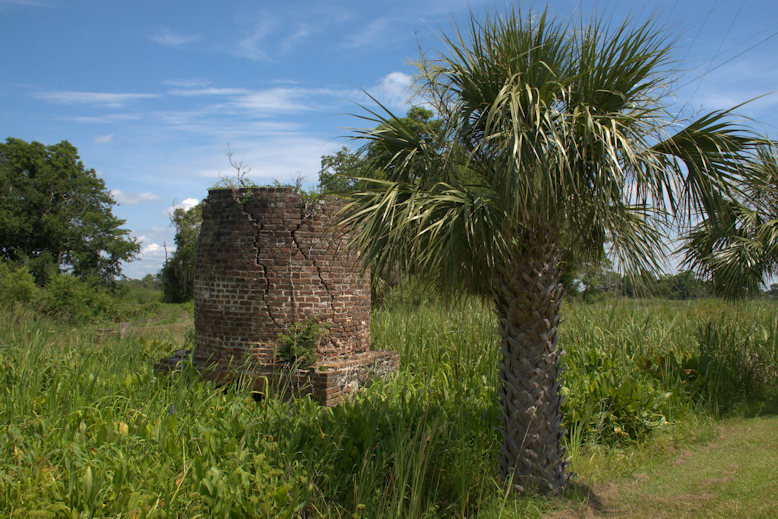 The remaining structures on the property, however, date to the dairy era. 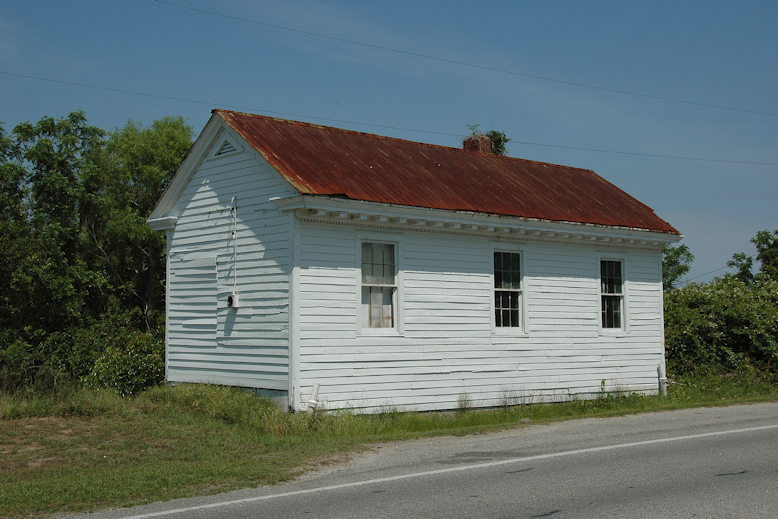 This structure is said to have been the ice cream shop operated as part of the dairy; more likely, it was an equipment shed, but that wouldn’t explain the windows. I hope to learn more. 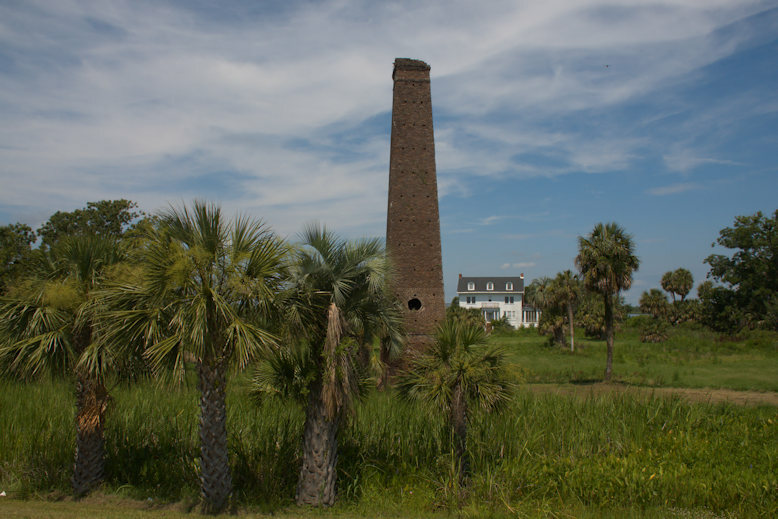 In front of the house is one of the landmarks of US 17 in McIntosh County, the old chimney from the steam-powered rice mill from the 1850s. 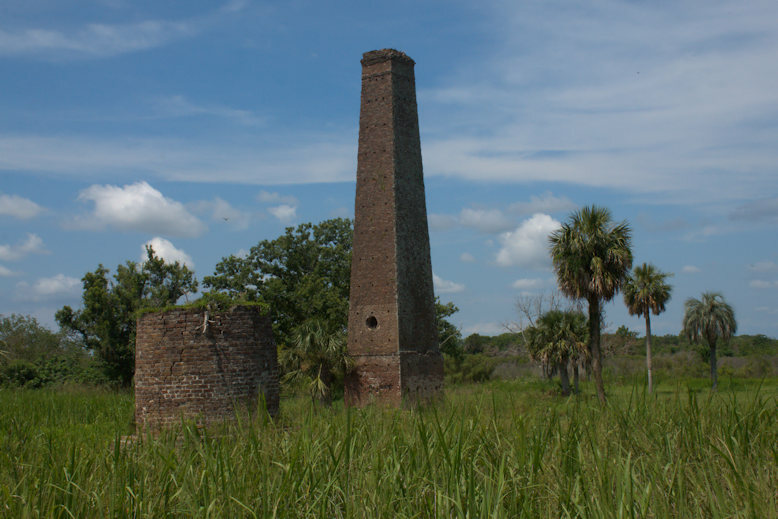 An additional ruin also remains. 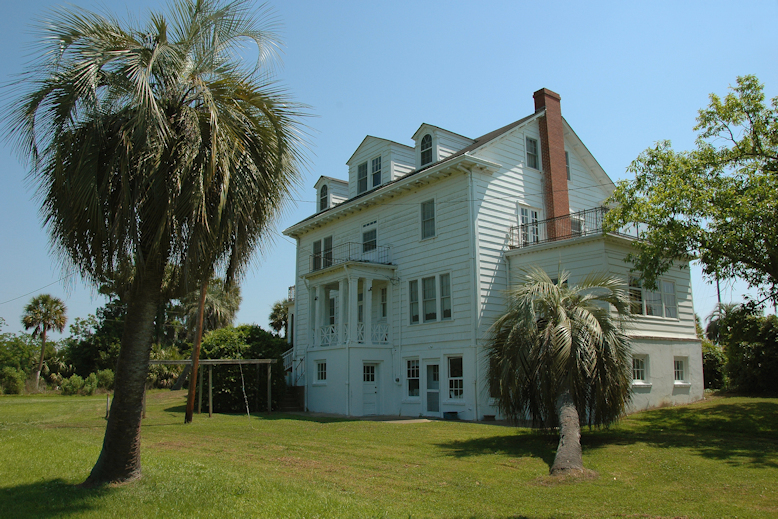 The property is operated by the Nature Conservancy today; the house is not open to the public, however.